The annual China Digital Entertainment Expo and Conference, also known as ChinaJoy, is the largest gaming and digital entertainment exhibition held in Asia, and one of the most influential events in the global digital entertainment industry. In addition to showcasing the latest games, hardware, and technology, the Shanghai-based show covers animation, movies, TV shows, and online fiction. It also has an enormous cosplay scene, though organizers recently cracked down on costumes they considered a bit too revealing – waists or buttocks now have to be covered, and no more than 2cm of cleavage is allowed. Cosplayers were also banned from being fed bananas and carrots, which must have been a popular pastime in previous years. 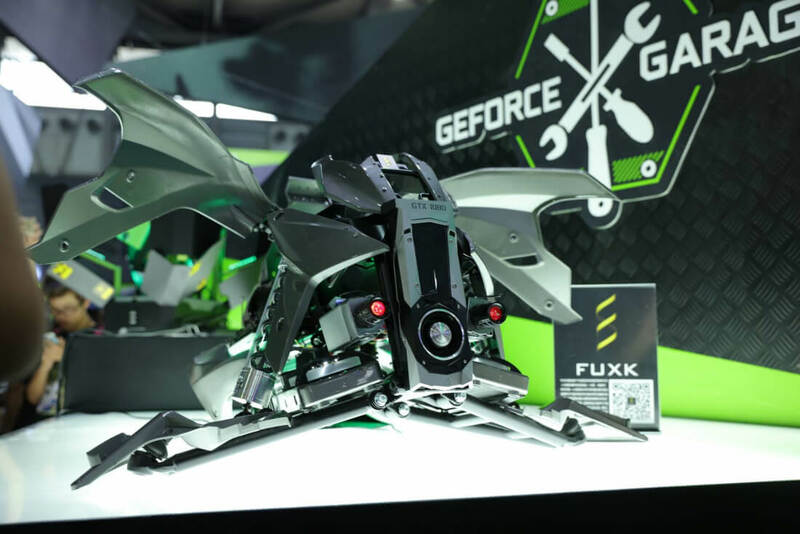 But some of the most amazing sights to come from the recent ChinaJoy were the huge number of case mods on display. Japanese site 4Gamer captured some of images below, many of which show the work of award-winning case modder Fuxk. First up is this R2-series astromech droid sporting a snazzy green paint job and a Nvidia GTX 1080. Another one by Fuxk, this time with a Doom theme. Check out that water cooling setup. It may not have as many extras as some of the other cases, but the rigid green tubing in this Thermaltake Core P5 (sans glass) looks great. Another one from Fuxk. What can you say about this? Just look at it! Dust may be a problem, though. My personal Fuxk favorite. Notice the interior digital display and that beautiful chrome tubing, stunning. One final 'case' from the talented modder. PC or time machine? Do you resent the fact you can’t use your PC case for more? Why not mod it so you and a friend can play table soccer while waiting for games to load. Finally, we have an open case next to a fairly spectacular mech mod. For more cases, check out our Best Cases of 2016.